This website (“Website”) is a publication of Column Capital Advisors, LLC (“CCA”), which is a registered investment adviser with a principal office in Indianapolis, IN. Registration as an investment adviser is not an endorsement by securities regulators and does not imply that CCA has attained a certain level of skill, training, or ability. This Website is limited to the dissemination of general information pertaining to CCA’s advisory services, together with access to additional investment-related information, publications, and links. Accordingly, the publication of this Website should not be construed as CCA’s solicitation to effect, or attempt to effect transactions in securities, or the rendering of personalized investment advice over the Internet. Any subsequent, direct communication by CCA with a prospective client shall be conducted by a representative that is registered or qualifies for an exemption or exclusion from registration as applicable. Each user of this Website (“User”) is encouraged to obtain a copy of CCA’s current written disclosure statement discussing CCA’s business operations, services, fees, and applicable conflicts of interest, which is available from CCA upon request or by searching for CCA at the following link: www.adviserinfo.sec.gov. All materials contained in this Website are protected by United States copyright law and may not be reproduced, distributed, transmitted, displayed, published, or broadcast without the prior written permission of CCA. Users may not alter or remove any trademark, copyright or other notice from copies of the content. Except as prohibited by law, and as a condition precedent to accessing this Website, each User agrees to release and hold harmless CCA, its members, managers, officers, directors, owners, employees, agents, and affiliates from any and all adverse consequences resulting from any actions or omissions that are independent of receiving personalized individual advice from CCA. The preceding sentence shall not limit or waive any applicable User rights under federal or state law, including securities laws and fiduciary obligations that cannot be limited or waived. Any hyperlinks on this Website are provided as a convenience. CCA does not make any representations or warranties as to the accuracy, timeliness, suitability, completeness, or relevance of any information prepared by any unaffiliated third party, whether linked to the Website or incorporated herein, and takes no responsibility for the same. All such information is provided solely for convenience, educational, and informational purposes only, and all Users are guided accordingly. To the extent that any User accesses any economic calculator or similar interactive device contained within or linked to the Website, the User acknowledges and understands that the information resulting from the use of any such calculator/device, is not, and should not be construed, in any manner whatsoever, as the receipt of, or a substitute for, personalized individual advice from CCA, or from any other investment professional. Past performance is not indicative of future results. Different types of investments involve varying degrees of risk, and there can be no assurance that the future performance of any specific investment or investment strategy (including those undertaken or recommended by CCA), will be profitable or equal any historical performance level. All investment strategies have the potential for profit or loss. Investment strategies such as asset allocation, diversification, and rebalancing do not assure or guarantee better performance and cannot eliminate the risk of investment losses. There are no guarantees that a portfolio employing these or any other strategy will outperform a portfolio that does not engage in such strategies. Any target referenced on this Website is not a prediction or projection of actual investment results and there can be no assurance that any target will be achieved. Changes in investment strategies, contributions or withdrawals may materially alter the performance of an individual’s portfolio. Historical performance results for investment indexes and/or categories generally do not reflect the deduction of transaction and/or custodial charges, or the deduction of an investment-management fee, which would decrease historical performance results. Economic factors, market conditions, and investment strategies will affect the performance of any portfolio and there are no assurances that it will match or outperform any particular benchmark. Projections, forecasts and estimates referenced on the Website are not purely historical in nature and are therefore necessarily speculative and subject to material variation. Any index performance data appearing or referenced on the Website has been compiled by the respective copyright holders, trademark holders, or publication/distribution right owners of each index for comparison purposes only. CCA makes no warranty, express or implied, for any decision taken by any party in reliance upon such indices. Investors cannot invest directly in an index. Certain portions of the Website (e.g., newsletters, articles, videos, audio files, commentaries, indexes, etc.) may contain a description of, and/or provide access to CCA’s (and those of other investment and non-investment professionals) positions and/or recommendations as of a specific prior date. Due to various factors, including changing market conditions, this description may no longer be reflective of current positions and recommendations. While information presented is believed to be factual and up-to-date, CCA does not guarantee its accuracy and it should not be regarded as a complete analysis of the subjects discussed. All expressions of opinion reflect the judgment of the authors as of the date of publication and are subject to change. No User should assume that any such discussion serves as the receipt of, or a substitute for, personalized advice from CCA or from any other investment professional. Users should not use any Website content as the sole basis for any investment decisions. Rather, a professional adviser should be consulted and/or independent due diligence should be conducted before implementing any of the options referenced in the Website content. CCA is neither a law firm nor an accounting firm. The tax and estate planning information provided is general in nature. It is provided for informational purposes only, and should not be construed as legal or tax advice. Users, clients, and prospective clients should consult an attorney or tax professional regarding their specific legal or tax situation. Photos and images on this Website are not of past or present clients of CCA. These photos should not be construed as an endorsement of CCA or its representatives by any client. Any awards, rankings, ratings, and/or recognition by unaffiliated rating services and/or publications are not indicative and should not be construed as a guarantee of CCA’s future performance or its clients’ investment success. Rankings published by unaffiliated rating services and/or publications are generally based on information prepared and/or submitted by the recognized adviser. Please refer to the specific disclosures below for more information about awards, rankings, ratings, and/or recognition. 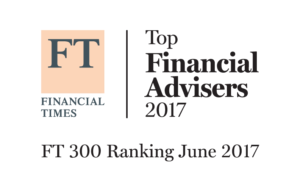 The Financial Times 300 Top Registered Investment Advisors is an independent listing (“The FT 300”) produced annually by the Financial Times (the “FT”). The FT is not affiliated with CCA. The FT 300 is presented as “an elite group,” not a competitive ranking of one to 300. The results are not based upon information or opinions of participating Registered Investment Advisors’ (“RIA’s”) clients. Therefore, inclusion on The FT 300 is not representative of any participating RIA’s clients’ experiences. Neither the participating RIAs nor their employees pay a fee to the FT in exchange for inclusion in The FT 300. The FT 300 is based on data gathered from RIAs, regulatory disclosures, The FT’s research, and/or research conducted on The FT’s behalf by “Ignites Distribution Research,” a Financial Times “sister publication.” The FT invited RIAs reporting $300 million or more in client assets under management to complete a lengthy application, which was analyzed along with data available from regulatory filings. The FT indicates that the methodology used to evaluate inclusion on The FT 300 is quantifiable and objective, and that the participating RIAs had no subjective input in the analysis. Approximately 520 RIAs applied and 300 made the final list. The formula utilized to evaluate participating RIAs for inclusion on The FT 300 is based on six factors and calculates a numeric score for each participating RIA. Areas of consideration include: assets under management, asset growth, RIA age, industry certifications of key employees, SEC compliance record, and online accessibility. Assets under management and asset growth, combined, comprised roughly 80 to 85 per cent of each participating RIA’s score. Additionally, the FT caps the number of companies from any one state. The cap is roughly based on the distribution of millionaires across the US. CCA applied for consideration, and the result was independently granted. The FT 300 does not require membership or payment in order for award participants and/or applicants to be considered for an award designation. However, CCA may pay a fee in exchange for plaques, logo licensing, or article reprints commemorating the designation. While CCA would pay this fee after receiving the designation and not as a condition precedent to receiving it, the fact that CCA pays any fee with respect to its receipt of the designation should be considered if such designation is a factor in a client or prospective client’s evaluation of whether to initially to engage or continue to engage CCA for investment advisory services. Based on its stated methodology, The FT 300 does not name advisors if the ratings are not statistically valid; and there are no facts that would call into question the validity of the inclusion on the FT 300 or the appropriateness of CCA advertising the same. By considering the compliance record, eligibility to appear on the ranking seeks to ensure that a participating advisor has an established and significant history and record free from regulatory sanctions. CCA is unaware of any undisclosed facts that could potentially invalidate the appropriateness of the above designation. The designation may not be representative of any one client’s experience because of the way in which it is calculated. The designation is not indicative of CCA’s and its advisors’ future performance, or any future performance pertaining to its clients’ investments, nor should it be construed as a current or past endorsement by any of its clients. InvestmentNews is not affiliated with CCA. For the 2018 ranking, InvestmentNews qualified 2,172 firms headquartered in the United States based on data reported on Form ADV to the Securities and Exchange Commission as of May 1, 2018. To qualify, firms must have met the following criteria: (1) latest ADV filing date is either on or after January 1, 2017, (2) total AUM is at least $100M, (3) does not have employees who are registered representatives of a broker-dealer, (4) provided investment advisory services to clients during its most recently completed fiscal year, (5) no more than 50% of amount of regulatory assets under management is attributable to pooled investment vehicles (other than investment companies), (6) no more than 25% of amount of regulatory assets under management is attributable to pension and profit-sharing plans (but not the plan participants), (7) no more than 25% of amount of regulatory assets under management is attributable to corporations or other businesses, (8) does not receive commissions, (9) provides financial planning services, (10) is not actively engaged in business as a broker-dealer (registered or unregistered), (11) is not actively engaged in business as a registered representative of a broker-dealer, (12) has neither a related person who is a broker-dealer/municipal securities dealer/government securities broker or dealer (registered or unregistered) not one who is an insurance company or agency. Based on the above description, the methodology used to evaluate inclusion on the “Investment News Top 10 Fee Only Registered Investment Advisers” ranking in Indiana quantifiable and objective, and that the participating firms had no subjective input in the analysis. CCA applied for consideration, and the result was independently granted. InvestmentNews does not require membership or payment in order for award participants and/or applicants to be considered for an award designation. However, CCA may pay a fee in exchange for plaques, logo licensing, or article reprints commemorating the designation. While CCA would pay this fee after receiving the designation and not as a condition precedent to receiving it, the fact that CCA pays any fee with respect to its receipt of the designation should be considered if such designation is a factor in a client or prospective client’s evaluation of whether to initially to engage or continue to engage CCA for investment advisory services. 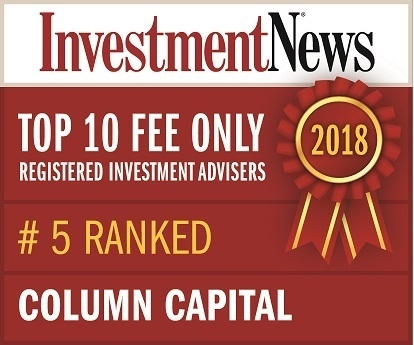 Based on its stated methodology, InvestmentNews does not name registered investment advisers if the ratings are not statistically valid; and there are no facts that would call into question the validity of the inclusion on list or the appropriateness of CCA advertising the same. CCA is unaware of any undisclosed facts that could potentially invalidate the appropriateness of the above ranking. By virtue of disclosing this ranking, CCA is disclosing favorable ratings (to the extent that CCA is ranked above other registered investment advisers) and unfavorable ratings (to the extent that CCA is ranked below other investment advisers).The ranking is not be representative of any one client’s experience because of the way in which it is calculated. The designation is not indicative of CCA’s and its advisors’ future performance, or any future performance pertaining to its clients’ investments, nor should it be construed as a current or past endorsement by any of its clients.